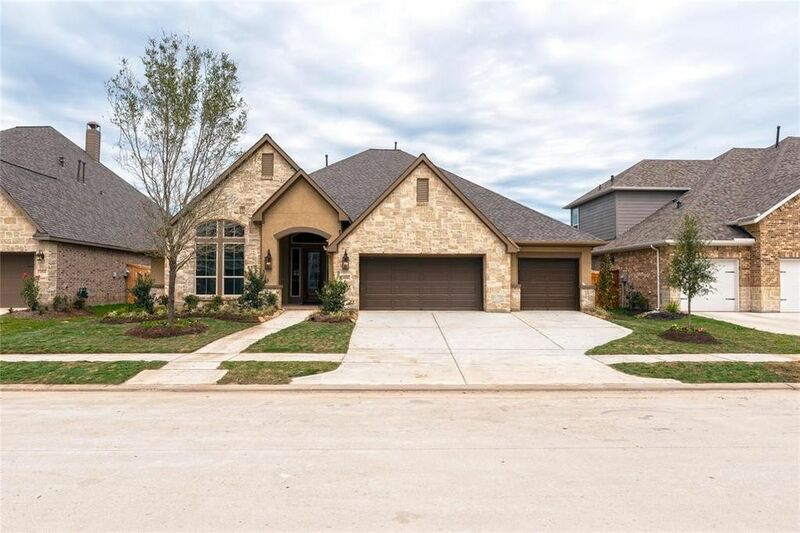 4 Beds 4 Baths 1 Partial Bath 4,082 Sq. ft. Stunning 1-story floor plan with wood floors throughout the entry, study, family, kitchen, and casual dining. A dream kitchen designed with painted cabinets, granite countertops, and stainless steel appliances. An expansive master bedroom includes 12' ceilings and floor to ceiling windows. The master bath includes separate his and her vanities with granite countertops, an oversized walk-in shower and dual walk-in closets. Relax out back underneath a covered extended covered patio.